With all the automotive innovation that Ford has continued to create, it was only a matter of time before one of the best high-performance SUVs on the market would roll into the showrooms at Ford dealers across Canada. Currently celebrating its 12th model year the brand’s first car-based unibody SUV crossover is getting even better. 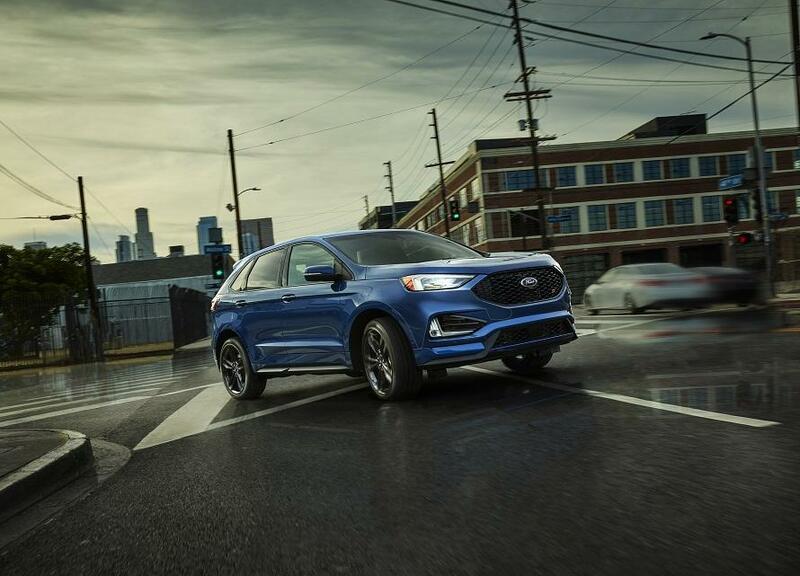 While the Ford Edge has always had a bold, powerful look, but none like the current model. Along with smoother lines that run the length of the body, the 2019 Ford Edge also has a sleek roof and a much more aerodynamic shape that assure the most sporty effort ever. Now powered by either a turbocharged, direct-injection twin-scroll 2.0L EcoBoost or an athletic 2.7L V6 EcoBoost engine, which is partnered with a performance-tuned eight-speed automatic transmission that delivers up to 335 HP and 380 lb.-ft. of torque, the sportiest of Ford SUVs also includes a sport-tuned suspension and race-inspired paddle shifters. Newly enhanced Intelligent All-Wheel Drive (AWD) also uses sensors constantly monitors traction and balances torque between the front and rear wheels to enhance handling and maximize traction through all types of weather. 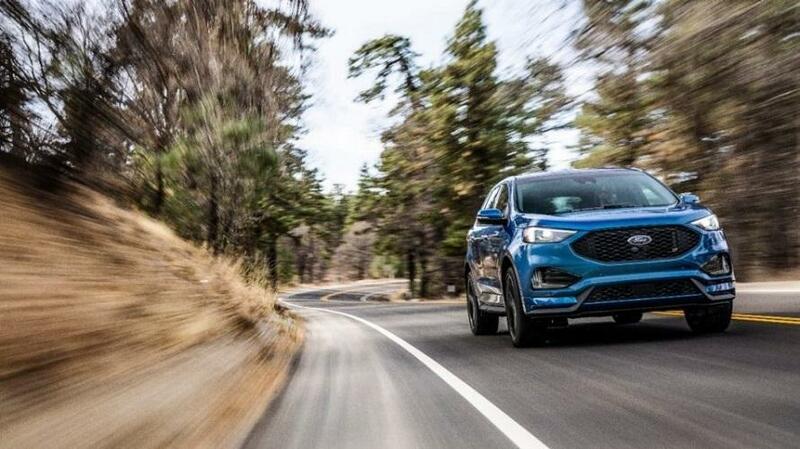 Along with being sporty on the outside and under the hood, Ford’s newest SUV crossover also includes a luxurious sporty style inside this unique SUV. With a leather-wrapped steering wheel and perforated leather-trimmed sport bucket seats as well as a standard metal-plated accents, mechanical stripe aluminum applique, illuminated scuff plates and ambient lighting. This craftsmanship is also reflected in the way that style and everyday usability comes together in the modern, refined look and feel of the instrument panel, centre stack, door trim, floor console and new rotary e-shifter. Available at your Ford dealer in Port Alberni, the all-new Ford Edge also offers confidence-inspired technologies that will keep you traveling any road in complete self-assurance. With sensors and cameras mounted at specific locations on the vehicle, you can be aware of other vehicles and objects that are beside and behind you. For instance, available enhanced active park assist uses ultrasonic sensors on the front and rear of the vehicle to help you guide your Edge into a suitable parallel or perpendicular parking space. These features also include Pre-Collision Assist with Automatic Emergency Braking to assure that everyone inside and alongside the outside of your Edge stays safe no matter how you drive. The most sporty and unique of Ford SUVs is now available at Van Isle Ford. Contact us today to schedule a test drive in the highest performing SUV available in Port Alberni.